Harley Shaiken is a Professor of Social and Cultural Studies at the Graduate School of Education and is a member of the Department of Geography at Berkeley where he specializes on issues of work, technology, and global production. He was formerly on the faculty of the University of California, San Diego (1986-1993). Prior to joining the UC faculty, he was a Research Associate in the Program in Science, Technology, and Society (STS) and the Laboratory for Manufacturing and Productivity at Massachusetts Institute of Technology from 1981 to 1986 and in 1980 was a post doctoral fellow in the STS program at MIT. 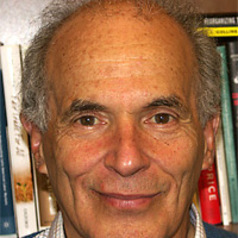 He is the author of three books: Work Transformed: Automation and Labor in the Computer Age; Automation and Global Production; and Mexico in the Global Economy, as well as numerous articles and reports in both scholarly and popular journals. He is an advisor on trade and labor issues to public and private organizations and leading members of the United States Congress. He is a member of the advisory boards of the Center for American Progress and the Latin American Program of the Open Society Institute.